A lawmaker in British Columbia is promising legislation that will close what he says is a loophole that allows landlords to circumvent rent increase limits. The Residential Tenancy Act provides for a maximum rent increase guideline. That figure is set annually. For instance, the maximum allowable rent increase for 2017 is set at 3.7 per cent. However, tenant advocates claim that some landlords are skirting that requirement by terminating leases at one year, and then renting under “new” leases to the same tenants, but with significant rent increases. New Democrat leader John Horgan has accused landlords are using this “loophole” to exploit the tight rental housing market. 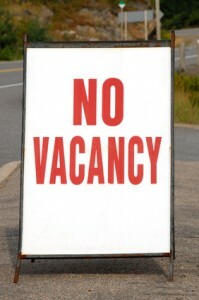 Vancouver’s current vacancy rate for private multifamily rentals reportedly is below 1 per cent. It is unclear how many landlords are using this controversial strategy to avoid the rent increase caps. Tenants have reported rent hikes as high as 30 per cent in one year. Any legislation on the matter is not expected to be introduced until next spring. Horgan has indicated that language may be added to the RTA to make it clear that, in the case a new lease is signed with the same tenant, the property was not vacant, so the rent increase guideline would apply.